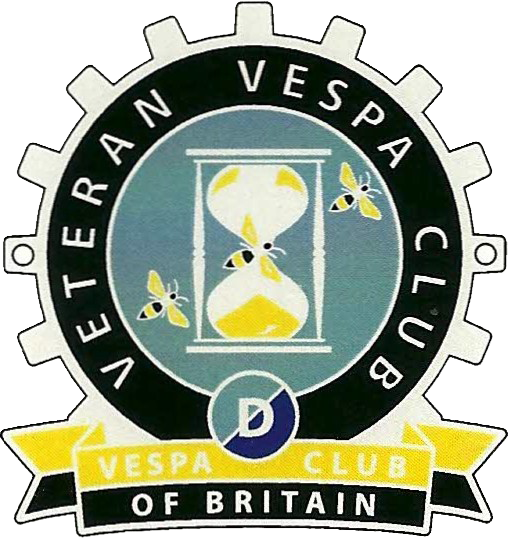 We all have a thing for classic Vespas, whether it may be building a collection of them, restoring them, getting your hands dirty with them, or simply riding them - quite often it's a combination of these. My 'affliction' is most definitely riding them and a thing for original paint examples, combined with an overriding obsession to photograph them on 35mm film. Since I started shooting classic Vespas on camera in 2006, I've gotten better as time has gone on but I'm always learning and will still regularly turn out 'dud' shots. Often very annoying, as you only find this out once the film is developed days later! However, that's part and parcel of film photography and the creative process of it has always been a major draw to me. Equally appealing to me through the years has been to view others Vespa photography, film or digital, but am always more impressed by film as I understand what it takes to achieve a good photo and how hard it can be to get the lighting, composition and feel just right. The accompanying photos were taken by Indonesian photographer Chrise Ariotedja (or Chris), and are perfect examples of what I’m talking about and indeed aspire to. “I’m Chrise Ariotedja, I live in Jakarta, Indonesia but sometimes I stay in Bangkok, Thailand. I’ve been into scootering for nearly 16 years. My first scooter was an ivory Vespa VBB that I bought for about £500 in 2003. The silver Sportique belongs to my friend , Reungchai Jarudul who lives in Bangkok. He is Thai and works in the Royal Thai Army. He's collecting original period accessories from the 60s and is very passionate about original scooters. The scooter is his dedication to his late mother who died a year ago from cancer, so he put his mother’s photo on the handlebar. Actually this material is for my photo book project. The book will be documenting the scootering scene in Asia, especially in Thailand, Singapore, Malaysia, Vietnam, Indonesia and Japan. I have been working with my Thai book Illustrator to produce this book, which will contain many illustrations and photography of the current vintage scooter scene - scooters and scooter life etc. I attempt to capture their humanity in this book, all photography is on film and taken by me, as I try to capture the photos as close to period photography from the past, as possible. The 1st and 3rd (black and white) photos (cream 1964 Gran Lusso) were taken in Jakarta, Indonesia. The scooter belonged to me but I sold it 2 years ago when I acquired a ‘58 Lambretta framebreather. The Gran Lusso I owned it for about 7 years; I had been travelling to many beautiful places in Indonesia with that scooter and left me with some beautiful memories. Currently I have my SX200 (the longest scooter I ever owned for 13 years), Li150 Framebreather and TV175 Mk2 (all restorations by myself) and another two Vespas. I do my own restoration work in Jakarta, from the painting process through to engine rebuild. I got my knowledge from Sticky’s Lambretta manual and LCGB forum. Back in the days, about 13 years ago, when I got my first Lambretta (SX200) there was no such thing as Facebook groups. So I asked and learned a lot from British forums and I also asked the late Steve "Sausage" Porter how to rebuild a Lambretta engine. The SX200 took about 5 years to complete the restoration, as when I acquired it, it was in a very sorry state, with no front mudguard, incomplete engine, no seat, no horncast and with GP handlebars. Thankfully the frame was straight and it came with original paperwork and the green log book. At first I left the scooter alone but somehow I went back and bought the SX, as I had a dream and big idea with this scooter; if I couldn’t complete it, at least I could sell it complete with the paper work. I bought many parts from Thailand and Europe and it is now maybe the most original SX200 restoration in Indonesia. It was also featured in an Indonesian fashion magazine back in 2013. Many thanks Chris, love the photos and reading your story! Let us know when the book is finished - looking forward to seeing it! Older Post"I ride a GS scooter..."